After long discussions with many people about current events and issues, we chose the topic of “Responsibility” and the motto “dare to care” for the next International Student Week in Ilmenau 2015, which will take place from May 29 to June 7, 2015. But why did we choose that topic? Responsibility is something that one encounters everyday. To a great extent, our living-together is determined by the question of who is taking responsibility – e.g. for decisions, actions, or projects. Responsibility is defined as the „ability to act independently and take decisions without authorization“ (Oxford Dictionary). This ability is strongly linked with fields like politics, norms in society, environment, economy, judiciary, health, education, science and media, where taking responsibility is necessary, especially at a time like this when we face challenges like the conflicts in the Middle East and Ukraine, the Ebola pandemic, climate change and recurring financial crises. We think that assuming responsibility is the first step in solving the urgent problems of our time. But unfortunately, it often seems that in many areas of public and social life, responsibility is just taken by few. Why is that so? How can we encourage more people to participate and take an active role in shaping our world towards a better place? In this regard, we must also talk about empowering disadvantaged people who currently are not able to assume responsibility. During ISWI 2015 we want to discuss these matters together with you. Our students conference will enable people to gather in an understanding and tolerant atmosphere for exchanging ideas in an open-minded dialogue. During workshops, discussions, lectures, group work and personal conversations, you will have the chance to share arguments, experiences and ideas related to topics that matter to you. We want to discuss our role as responsible persons within society in order to develop solutions for existing problems and take responsibility together. We would like to focus on the idea that everyone can influence our future – you just have to „dare to care“. See you at ISWI 2015! Jakob von Uexkull is a person that has been assuming responsibility since a long time. His maybe most remarkable action is the foundation of the Right Livelihood Award, also known as the ‚Alternative Nobel Prize‘, in 1980. 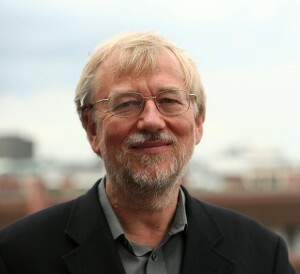 After the refusal of his proposal to also award ecological and social commitment by the Nobel Prize Committee, he got active and founded the Right Livelihood Award (RLA) „to honour and support those ‚offering practical and exemplary answers to the most urgent challenges facing us today'“(http://www.rightlivelihood.org). Apart from that, he founded and co-founded many more initiatives and awards, is patron of ‚Friends of the Earth International‘, served on the UNESCO Commission on Human Duties and Responsibilities as well as on the Board of Greenpeace, Germany. Since a few years he is concentrating on creating the ‚World Future Council‘. That council of 50 globally recognised wise elders, pioneers and youth leaders aims to give voice to the interests of coming generations and strives towards a sustainable future. We feel very honoured that Jakob von Uexkull took over the patronage for ISWI 2015. 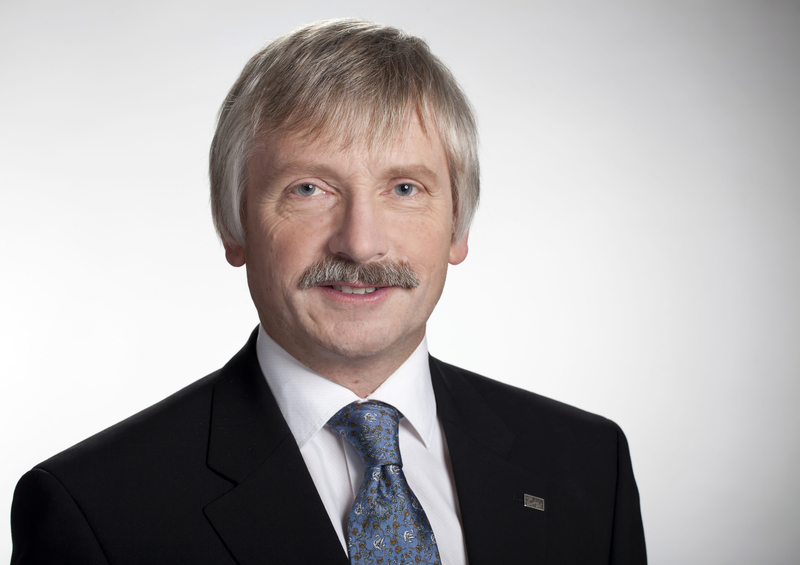 „I am delighted to accept the patronage of the International Student Week in Ilmenau 2015 under the topic „responsibility – dare to care“. Today we are the guardians of all future generations of life on Earth. The consequences of our decisions and actions will have greater and longer-term consequences than ever before. There are many signs that the damage to our Earth is now approaching irreversible tipping-points, overwhelming the resilience of our natural environment. The interlinked crises now facing us threaten all our achievements, plans and hopes. We are now on a collision course with our own future. There are many who criticise our current course and warn of impending doom. Others describe beautiful visions of possible futures, if only we could get there. Many focus on individual crises and fail to see the interconnections. „I very much appreciate the “International Student Week in Ilmenau“ ISWI and would like to express this with my welcome note as ISWI will turn Technische Universität Ilmenau into a peaceful microcosm across world national borders for ten days. The motto “dare to care“ focuses on responsibility for ISWI 2015. Guiding themes like responsibility this year or human rights and liberty in previous years reflect values which we are aiming at with our initiative of the “Campus Family“: trust, openness, mutual respect, intercultural tolerance and diversity . I am very happy that ISWI and TU Ilmenau share the same vision of a world family. This vision will become living university culture and in this way will also become reality in the course of the days you are going to be our dear guests. In the days to come you will raise issues which are of importance far beyond Ilmenau’s borders. What is responsibility people develop and show towards fellow human beings? Why do some people misuse or decline their responsibility? How should we react? What should a responsible approach to each other look like? In view of numerous national, religious and ethnic conflicts in the world, these issues are now of global importance. If you contribute a friendly face with your peaceful discussions about responsibility and your private meetings and parties parallel to the official event of ISWI, you will have turned the world into a bit better place for the future.